BOSTON--(BUSINESS WIRE)-- According to the latest research from Strategy Analytics, global smartphone shipments fell 3 percent annually to reach 350 million units in Q2 2018. Samsung maintained first position with 20 percent global smartphone marketshare, while Huawei overtook Apple for the first time ever to become the world’s second largest smartphone vendor. 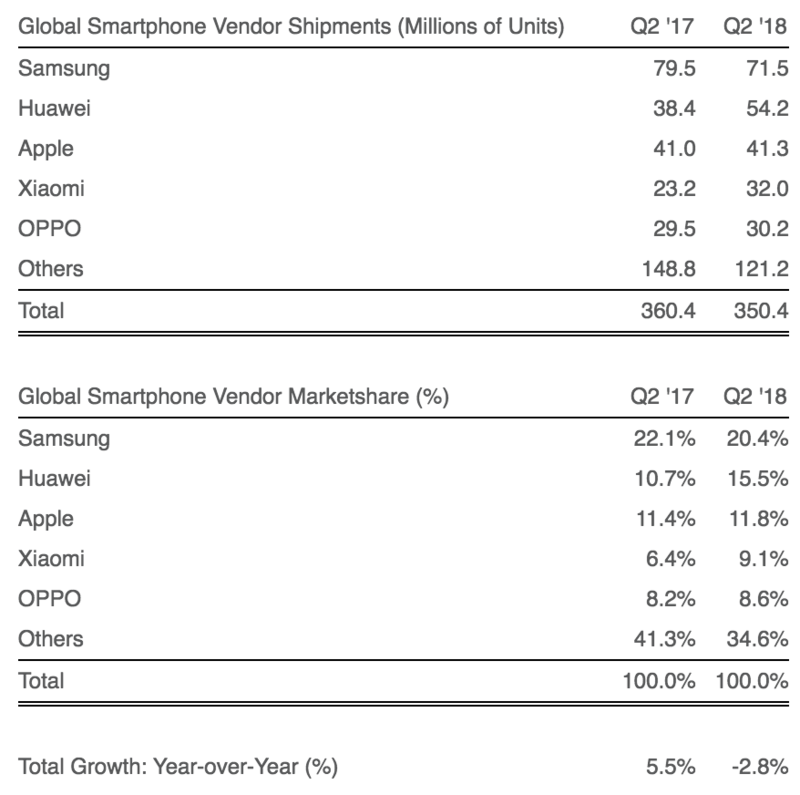 The full report, Huawei Overtakes Apple as Global Smartphone Shipments Hit 350 Million in Q2 2018 , is published by the Strategy Analytics Wireless Smartphone Strategies (WSS) service, details of which can be found here: https://tinyurl.com/y75uhw62.